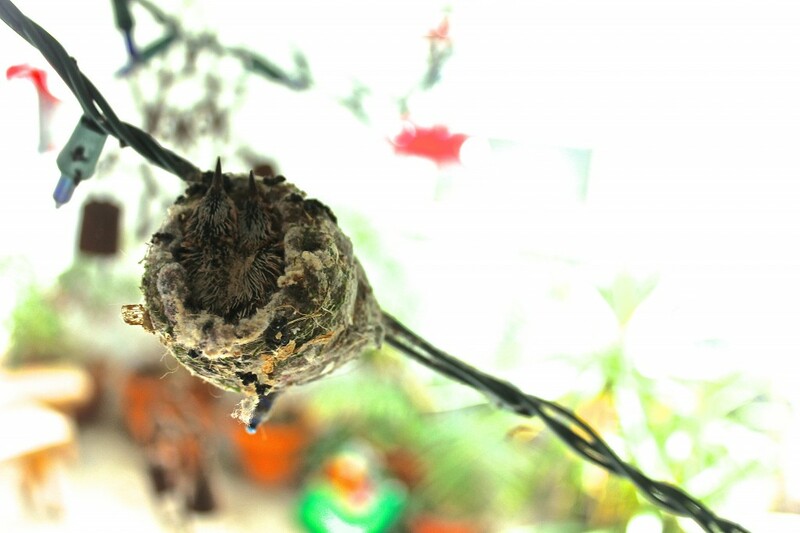 Two fat baby hummingbirds sleep all day in the next. When do they eat? They’re fatter than I thought but I never see the mama feeding them. No colors yet in their plumage, still dirt brown. Love these babies. There’s a story here, somewhere.